Working respectfully with Aboriginal and Torres Strait Islander people. Amnesty International Australia’s Indigenous Rights Team present a series of Cultural Competency modules to begin a process of equipping our staff, activists and supporters with the necessary skills and considerations to best achieve success with our Community is Everything campaign. Part of our 2017-2020 Reconciliation Action Plan is building respect for Aboriginal and Torres Strait Islander peoples, lands, histories, cultures and languages. We acknowledge and respect their special place as the First Peoples and aim to provide a respectful and welcoming organisation for Aboriginal and Torres Strait Islander peoples to participate in. This learning package consists of three modules, each with a video (approx. 20 minutes), followed by a short quiz. This training is mandatory for all Amnesty Board members and staff. We also strongly encourage our supporters, particularly those with an interest in Indigenous rights to complete these modules. 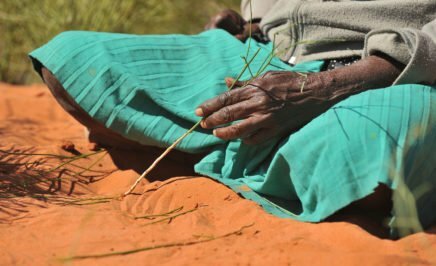 Three modules to help you move from sensitivity to competency, understand the past and present issues facing Aboriginal and Torres Strait Islander people and to talk about how we can create change for the future. Check out our cultural learning hub for other great resources that will help you to deepen your understanding and engage with your local Aboriginal or Torres Strait Islander community. Here you’ll find some online resources, books, films, activities to run with your groups and ways you can get involved with your local community. Working in solidarity with Aboriginal and Torres Strait Islander communities is important for our Community is Everything campaign and working towards reconciliation. Visit our Reconciliation page to find out about the concrete steps we are taking to make our commitment a reality. 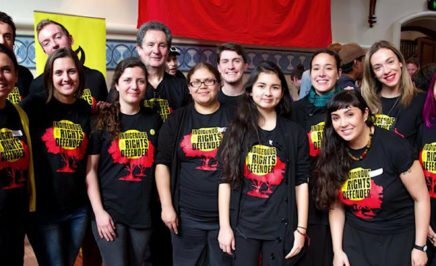 Ready to step up your activism and leadership at Amnesty? Join the Branch Committee. Download our toolkit to find out how you can take a leadership role in your region. 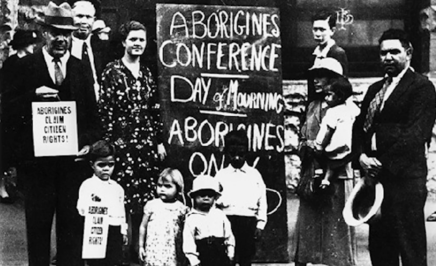 A woman attends a march to protest for Aboriginal rights. Brisbane, Australia, 14 November 2014.